Phil Schiller thinks the refreshed 2016 Apple MacBook Pro doesn't need an SD Card Slot. Apple announced its refreshed 2016 MacBook Pro lineup last week at an event in California. The 2016 MacBook Pro features the same all aluminium unibody design with slimmer profiler, but skips on a full size USB port, MagSafe and SD card slot. The new MacBook Pro also brings access to Touch ID and a new mode of interaction in the form of Touch Bar. While Apple's new MacBook Pro looks extremely slim, the lack of SD card and rise of new dongle management has amused a lot of potential buyers. The Apple MacBook Pro's biggest disappointment seems to be the lack of SD card slot. Professional have already expressed disappointment over the missing SD slot and now Apple executive Phil Schiller has explained why MacBook Pro is missing the SD card slot. Speaking with The Independent, Schiller says SD card is a cumbersome slot. He says the SD card is sticking halfway out and Apple is still not able to resolve the slot. Apple recently ditched the 3.5mm headphone jack on iPhone 7 and iPhone 7 Plus and introduced MacBook with single USB-C port in 2015. Schiller says there are faster USB card readers and there is always an option to use CompactFlash. He also highlighted camera industry's move towards adding wireless standards onto their cameras. Schiller says,"There’s a path forward where you can use a physical adaptor if you want, or do wireless transfer." Apple's Senior VP for Marketing, Phil Schiller also added that so far the online orders for new MacBook Pro has exceeded expectation. 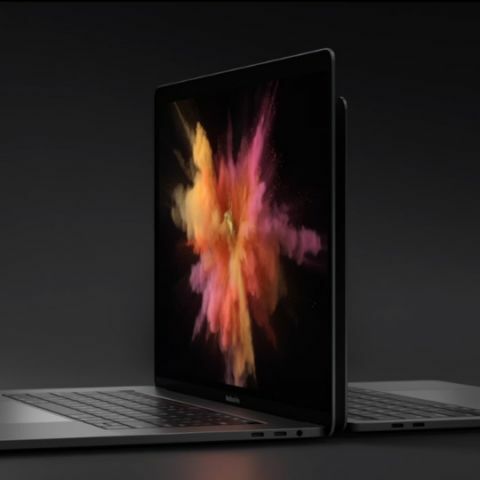 He says there are a lot of people excited about the new MacBook Pro and receiving the highest ever online orders proves the demand for the product. Apple design chief Jony Ive recently said the MacBook Pro's Touch Bar is just the beginning of a very interesting direction. Apple MacBook Pro also starts at a higher pricing, with the entry level model without the Touch Bar retailing at $1,499. KGI Securities' Ming-Chi Kuo believes Apple will drop the price of MacBook Pro in the second half of 2017 alongside the launch of new hardware upgrades. Will Apple MacBook Pro play flash videos?